Judge Ernest C. Torres has more than 23 years of experience as a federal trial judge; 5 years of experience as a state court trial judge and 14 years of experience in the general practice of law counseling business clients and representing both plaintiffs and defendants in civil litigation. 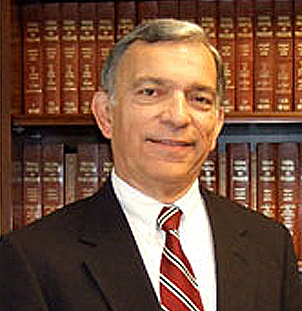 During his years on the federal court, Judge Ernest Torres presided over many high profile trials and hundreds of other jury and non-jury trials dealing with a wide range of legal issues in areas such as administrative law, antitrust, business and commercial matters, contracts, employment disputes, environmental law (including CERCLA cases), insurance coverage, intellectual property, medical malpractice, personal injury, product liability and securities fraud. He also has written numerous published opinions, including several authored while sitting by invitation on the First Circuit Court of Appeals. Lawyers have described Judge Ernest Torres as “a very bright, skilled judge” who “knows all aspects of the law” and “makes sound and fair rulings”. Since retiring in 2011, Judge Torres has been actively engaged in mediating and arbitrating a variety of civil cases and serving on mock arbitration panels. As a judge, he utilized arbitration and mediation skills by trying and deciding numerous nonjury cases and conducting settlement conferences in jury. Before that, as a practicing lawyer, Judge Torres represented clients in a number of arbitrations and countless settlement conferences and negotiations.